Today’s picture shows Narahari and Bert finishing the floor in the new 7 meter dome. This dome contains experiments with insulation materials and climate control techniques that we want to test. We intend to share our experience during an informal workshop this summer, where you can learn about and participate in dome building. We are also planning an earth construction project. This afternoon we planted 12 conifers on the north side of our vegetable garden. Together with some fruit trees they should become a windbreak and reduce the night frost. 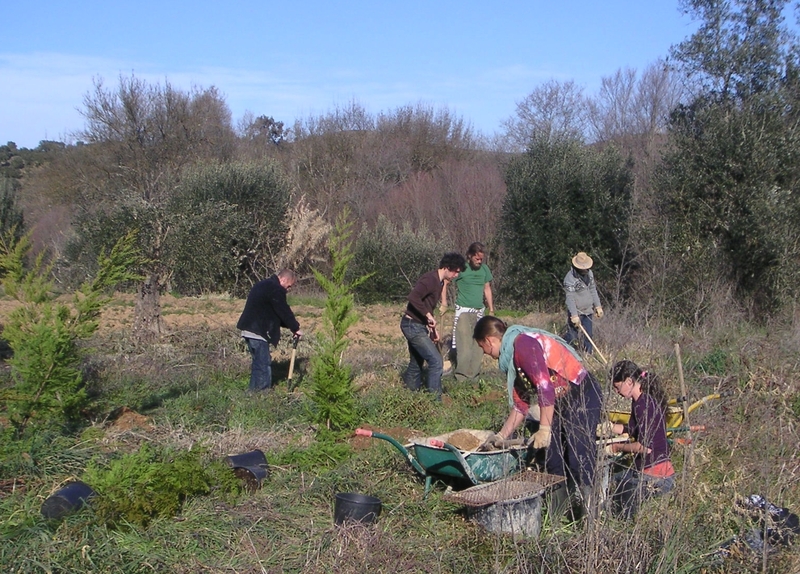 The planting team, from left to right: Chris, who recently returned to Osho Garden with Tara, Summer and Lola the friendly dog, Bert from Belgium who arrived yesterday, Narahari, Joanna, James and Sara. A sunny Saturday afternoon and Hans and Sara had not yet seen our wild land in nature. 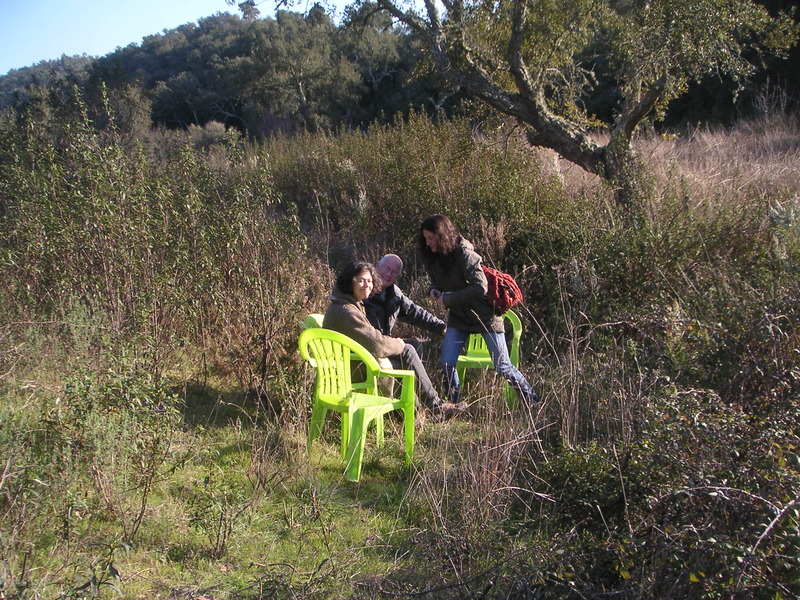 We loaded some chairs in the pick-up truck and went on our way, crossed the river, the muddy road and made our sitting area in the center of the land. This is where our Ecovillage is planned, at the edge of Osho Lake, the first pond of the water landscape that we want to create. Question: Would you like to have a nice Eco dwelling here? Yesterday we celebrated oneness with the earth, walking the four cicular paths in our tree labyrinth that symbolize the physical, emotional, mental and spiritual planes. We gave gratitude to the earth that gives us all and we blessed it with our footsteps. And we asked ourselves how we can apply our creative energies to give something back to mother Earth. 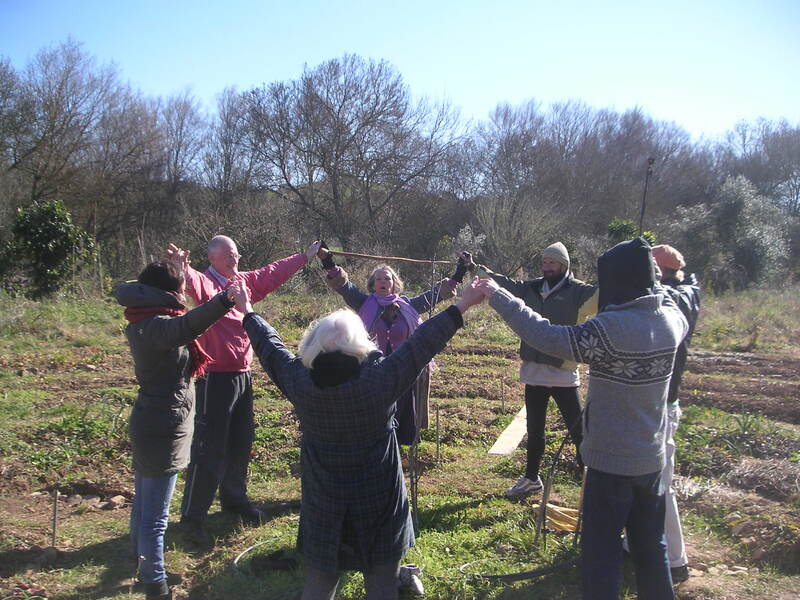 You are all invited tomorrow, Saturday 4th February to a ceremony for the earth to be held by Xicca and Diana at 2 pm in the tree circle in our garden. This will be followed by an Osho active meditation. 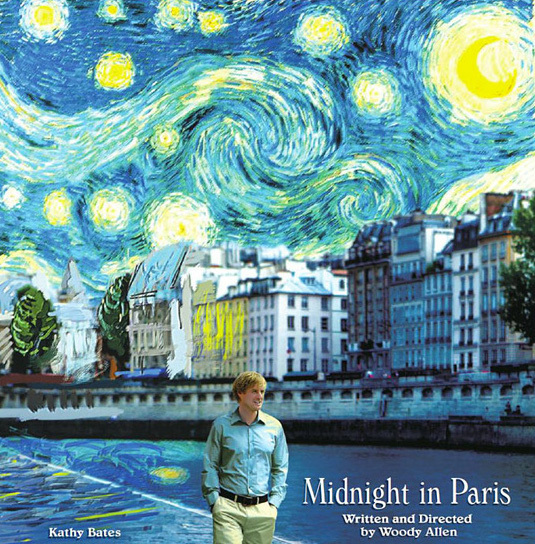 Afterwards we will show Midnight in Paris, Woody Allens recent and much acclaimed romantic comedy about a family traveling to the French capital. Then it is tea time and if you can dance there is the music of Buena Vista Social Club. Please bring any produce you want to exchange and invite your friends too! 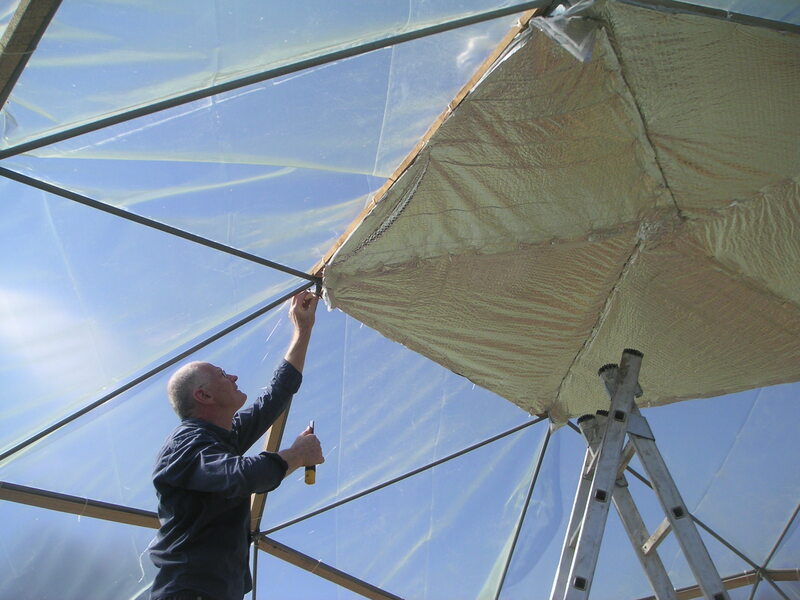 People as well as plants feel better when they are protected from overheating in summer and night frost in winter, so we are experimenting with insulation. 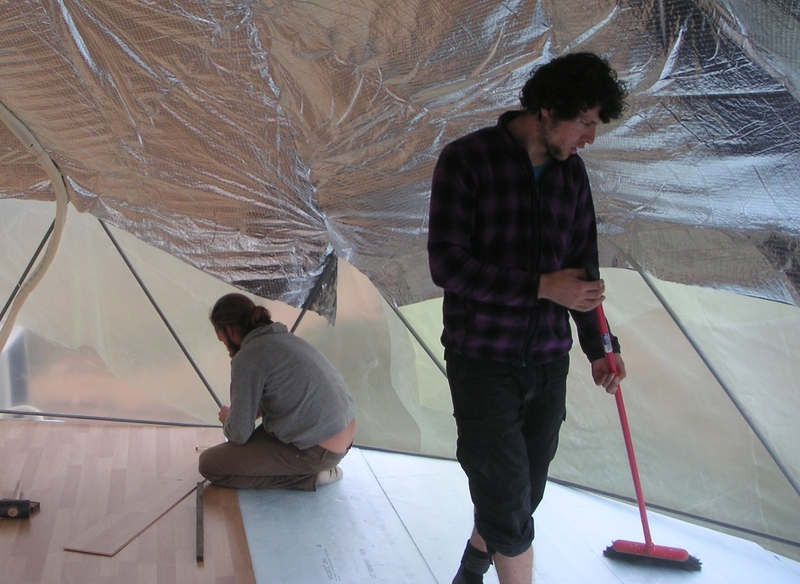 Hans is attaching ‘space blankets’ (reflective foil insulation) in the 7 meter dome. By the way, Saturday afternoon at 2 pm we will have a Walking Global Contemplation with Xicca and Diana in the tree circle. You are all invited.